December 5, 2007 Steve Peterson ILL "Twenty-eight-year-old Steve Peterson [Drew Peterson's son] has been a patrolman in suburban Oakbrook [Illinois] since 2004, the same year one of his stepmothers, Kathleen Savio, was found dead in a bathtub." April 09, 2008 Peterson suspended one day for rude comment to a citizen ILL 04/09/2008 "Drew Peterson's son, Stephen, receives suspension from Oak Brook police"
November 17, 2007 Wedding ILL "In August , Carol Brown, his [Drew Peterson's] first wife, saw Drew for the first time in years at the wedding of their younger son [Stephen]. Peterson told a story about placing his gun on a desk to intimidate 'some union guys' who came into his printing shop, [Dave] Brown said. 'He was acting like Mr. Tough Guy at the wedding, and I don't remember him being like that,' he said." "On the morning of Friday, Nov. 2, Drew's son Steve came over to pick up the youngest children and Kriss, who wasn't feeling well enough to go to school. "I watched Drew write a check for a little over $200,000 from a home equity line and give it to Steve in case something happened to him. He also gave him another $10,000 check and $500 in cash. I think this is a man who knows he's going to jail, said Mims." Police Dept. ILL "But while he [Steve Peterson] was gone, the day before Thanksgiving [11/21/2007], state police officers executed subpoenas at Oakbrook police headquarters. The I-Team has learned that state authorities removed Steve Peterson's police personnel file and other records of his recent patrol activities. Twice, Steve Peterson has also been called in front of a Will County grand jury that is looking into the disappearance of Stacy Peterson." Police Dept. ILL "The I-Team has also been told by investigators that state police seized the Oakbrook department personnel files of two of [Steve] Peterson's closest friends on the force. One [Bill Tobias?] recently resigned while under investigation for professional misconduct. The other [Randy Mucha?] was recently terminated for lying and unauthorized access of criminal files." Randy Mucha Randy Mucha says he's going on the record now to say he knows nothing ILL VIDEO: Fox Reporter Tera Williams: "Former Oak Brook police officer Randy Mucha expects to be questioned by state police any day now about the disappearance of Stacy Peterson." - Randy Mucha: "Were on that short list of people that some other poeple in Oakbrook would like to see get screwed with. Long story short is I was fired for what the chief claims was a lie in a civil deposition and I have a lawsuit pending against the chief in federal court." - Fox Reporter Tera Williams: "That lawsuit and the fact that he's buddies with Steve Peterson is why Mucha believes his name has been leaked on somebody police could be looking at in Stacy Peterson's disappearance. Mucha says he's going on the record now to say he knows nothing." - Randy Mucha: "They can have my cell phone records and dig up my yard or anything else they want to do." "Everyone is suspect" ILL "In recent weeks, Drew Peterson, his brother, Paul Peterson, and his son, Oak Brook Police Officer Steve Peterson, all have been called to testify before a grand jury. A police source would not say if either Drew Peterson's brother or son has an alibi for the night following the last sighting of Stacy Peterson. "We don't know yet," the source said. "Everyone is suspect." "I was at Penny Road Pub in South Barrington at an ILPWDA fundraiser" ILL CourtTv Forum posted by "rmucha", 11-27-2007 11:32 PM, Registered: Nov 2007, Location: Oak Brook, IL, Posts: 12, Thread titled, "Blue Barrel Suspect [m]", "Geraldo stays in business by selling comercial time to sponsors. I don't know if he made it up to get ratings, or if he was duped by a "source". In any event its not true. I was at Penny Road Pub in South Barrington at an ILPWDA fundraiser. There were several other cops there, and I had a couple beers, but the Petersons were NOT there. I have never heard of or been to Leo's. I have never had a drink with Drew. I don't know about the extended family situation so I can't help you there. The only Peterson I know is Steve, Drew's son. And yes, he is in town and at work. Randy." Police Dept. ILL www.findstacypeterson.com forum posting by "rmucha" Newbie, Posts: 48, Thread titled, "Ch 7 Chuck Goudi about to sling mud at Steve Peterson", Reply #10 on: Yesterday [12/05/2007] at 10:19:17 PM, Quote, "Personnel files subpoena'd of Steve Peterson and two of his friends, me and Bill Tobias. Steve has been called twice before the Grand Jury. Brodsky says it was common for BOLINGBROOK to run name checks when bored, as if it has anything to do with Steve or Oak Brook. Said they have questioned Steve's wife, Teresa. Really a story about nothing." Peterson? ILL www.findstacypeterson.com forum posting by "rmucha" Newbie, Posts: 48, Thread titled, "Ch 7 Chuck Goudi about to sling mud at Steve Peterson", Reply #19 on: Yesterday [12/05/2007] at 10:25:36 PM, Quote, "Chief in OB hates Steve, as well as me and Bill [Tobias]. Im sure he gave the ISP a short list of names of Steves friends so they are leaving no stone unturned. Bill has already been talked to by ISP, and they told him that they won't be talking to me. That was a week ago. This is old news. Or I should say non-news." 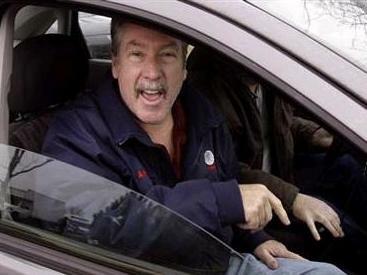 December 5, 2007 Steve Peterson returned to work after extended vacation ILL "Twenty-eight-year-old Steve Peterson [Drew Peterson's son] has been a patrolman in suburban Oakbrook since 2004, the same year one of his stepmothers, Kathleen Savio, was found dead in a bathtub. When Steve Peterson's current stepmother, Stacy, 23, vanished almost six weeks ago, he was on vacation, according to police sources - a vacation that he extended several times in November. On Wednesday [12/05/2007] afternoon, as authorities were searching the sanitary ship canal for evidence in his latest stepmother's disappearance, Steve Peterson returned to work." December 5, 2007 Steve Peterson's wife ILL "Steve and his new wife live in a north Aurora home. She is a federal agent with the inspector general's office for the U.S. Housing Department. Teresa Peterson has been questioned by investigators as to her husband's whereabouts and activities the past six weeks." Internet Forum posting found from Randy Mucha Mucha's here for Stacy ILL www.findstacypeterson.com forum posting by "rmucha" Newbie, Posts: 63, Thread titled, "Ch 7 Chuck Goudi about to sling mud at Steve Peterson", Reply #111 on: Today [12/06/2007] at 09:48:35 AM, Quote, "I am here for Stacy although I only met her once. I am also here for STEVE Peterson. He is a wonderful human being and can't help who his father is." Internet Forum posting found from Randy Mucha Randy Mucha comments on 12/17 National Enquirer article ILL www.findstacypeterson.com forum posting by "rmucha" Jr. Member, Posts: 88, Thread titled, "Re: Mims breaks his silence, GretaWire, chilling if true", Reply #49 on: Today [12/08/2007] at 11:02:06 AM, Quote, "I know that Steve Peterson has cooperated fully with investigators and testified twice before the Grand Jury. I know that Steve was at a party at a friends house the night Stacy disappeared. I read the enquirer piece and I read the supposed comments from Mims. I don't know if that is really Mims commenting. 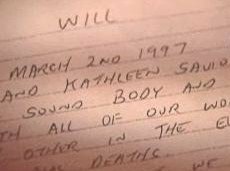 If so, it does sound like Steve was there at some point not long after Stacy's disappearance, but I can't say for sure if he was or not. I know Steve had the 4 kids for a week or so a few days after Stacy disappeared, but gave them back to Drew before Steve went to Mexico which was approximately November 10th." 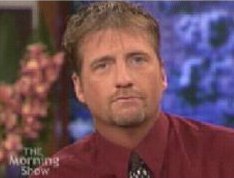 December 13, 2007 Steve Peterson Grand Jury ILL "On Thursday, the special grand jury investigating Stacy Peterson's disappearance reconvened. 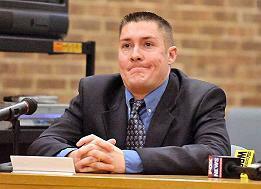 They will be hearing testimony from Drew Peterson's son, 28-year-old Steve Peterson who is a patrolman for the Oak Brook Police Department. This is the second time he has testified." Internet Forum posting found from unknown individual No-Snitch Rule? ILL Posted on www.websleuths.com, thread titled, 'Cal-Sag Channel Search #2", 12/14/2007 06:42 PM by "AdoraBlue" Join Date: Feb 2005, Location: Ya-Ya Land, Posts: 178, Quote, "The AMW guy also said that their sources believe that Steve Peterson and several other people know something about Stacy's disappearance. John Gibson, co-host of The Big Story, asked the AMW guy about the "no-snitch rule," regarding Steve Peterson's GJ testimony." "Investigators follow money trail from Drew Peterson to his son"
CRAIG WALL: "Sources have confirmed that prosecutors have subpoenaed bank records that show Drew Peterson, in the weeks after his wife’s disappearance funneled nearly a quarter of a million dollars to his son Steve, an Oak Brook police officer." 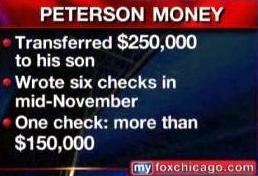 - "According to sources, Drew Peterson has transferred more than $250,000 to his son from several bank accounts including joint accounts he held with Stacy. Investigators found that Drew wrote as many as six checks to Steve all within a few days in mid November including one check for more than $150,000." - "Tonight Kathleen Savio’s sister said the family has indeed contacted lawyers about filing a wrongful death lawsuit against Drew." - "Also tonight Fox News has learned that state police have asked prosecutors for another search warrant for additional cell phone records relating to Drew." Steve Peterson became an Oak Brook cop in 2004, was he living in Drew's house when Kathleen was murdered? ILL Greta's "On The Record" Guest: Sharon Bychowski "Who shot the gun?" SHARON BYCHOWSKI: SP told me herself in the beginning of August about the shooting incident. We were cleaning out the garage and she showed me the bullet hole. She said that DP’s gun misfired. She was very angry with him and she told him that he could have hurt the children or her. I was in the garage when she pointed it out to me. She told me it was an accidental discharge and she was angry that it was very dangerous and he handled it inappropriately. The neighborhood is pretty much back to normal, but they are still doing interviews about the gun incident and the grand jury testimony. SHARON BYCHOWSKI: Steve [Peterson] used to live in the home with DP and Sp when I first moved here. He was a student at the time and going to school for police studies. He and his girlfriend [Jennifer?] broke up when he cheated on her. - MICHAEL BADEN: With the Scott Peterson case there was no COD, place of death, or time of death and there was a conviction. In the KS case we have more information. It is scary that DP is not liked and he could be convicted because people have strong feelings about him. The KS autopsy will eventually come out, but it still has to be presented to the GJ. - BG: The phone records are a lynch pin of this case – they will either put a hole in his alibi or corroborate his alibi. RIC MIMS: "One night he dressed all in black and he had something under his shirt—and disappeared out the back door and came back about thirty minutes later." RIC MIMS: The week that I spent at his house right after Stacy disappeared, his strange behavior, writing a check for a quarter of a million dollars to his son [Steve Peterson] to get out of an equity line, $10,000 out of his personal account, a lot of cash that was handed over to his son, a lot of strange things happened. One night he dressed all in black and he had something under his shirt—and disappeared out the back door and came back about thirty minutes later. RIC MIMS: I had been meeting with the State Police and they had been giving me timelines and also Mark Fuhrman had been giving me timelines. I had had a meeting with them on a Saturday morning and I went straight to the house and I asked Drew, I said, “You’re gonna have to be honest with me about a few things if I’m gonna stand by you on this. I’ve got to know.” And his basic response was everybody’s was lying but him. JULIET: Does it make you nervous that you were there for so many strange things—you guys would go into the closets to talk because he thought maybe the walls were bugged. Does it worry you that you know so much about him that you’re going to be a target? - MIMS: That is a concern, but in Bolingbrook, living in Bolingbrook, I feel very safe there with the Chief of Police there and the police department we have there. 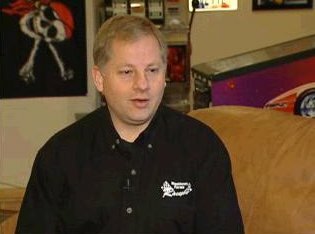 ILL 03/18/2008 "CARS, YES; GUNS, NO"
"Circuit Judge Richard Schoenstedt cleared the way for Peterson to pick up his GMC Denali and Pontiac Grand Prix from the state police, and he will be able to retrieve his computers and copies of their hard drives in the next 15 days. But Peterson still can't get his guns back because he was stripped of his firearm owner's identification card last month at the behest of State's Attorney James Glasgow. Peterson is appealing the state police decision to revoke his FOID card." "Peterson won the right to reclaim his vehicles under the condition he not dispute the more than 250 photographs state police took of them as possible evidence if a criminal case is brought against him. But without a FOID card, Peterson, who on Monday [03/17/2008] appeared in court for the first time in connection with the matter, can no longer possess any of his eight handguns, three long guns." "Brodsky asked Schoenstedt to turn the guns over to Peterson's son, Stephen Peterson. An Oak Brook police officer, Stephen Peterson holds a valid FOID card, Brodsky said. Since Stephen Peterson has not been a party to any of these proceedings, and may not be aware of the responsibilities and ramifications, Schoenstedt held off on deciding whether to give him the guns until a hearing next week [03/25/2008]." 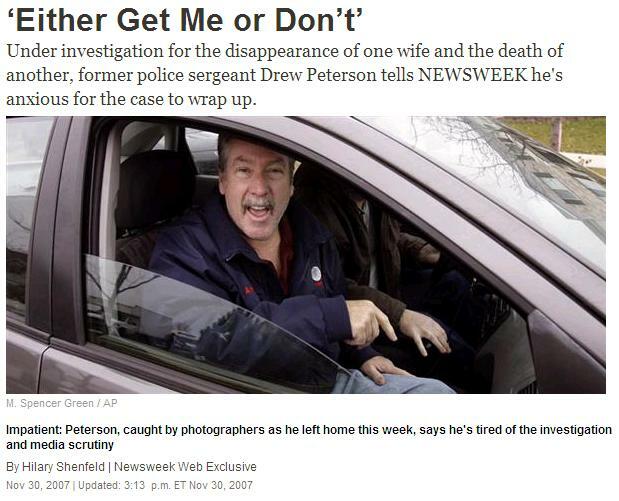 "They [His Superiors] called a meeting with him in mid-December and forbade him from wearing his uniform or driving his squad car to another grand jury inquiry" ILL 04/10/2008 (suburbanchicagonews.com0 "Drew's son in hot seat"
"Peterson's son, Stephen Peterson, was on the hook for wearing his police officer's uniform while testifying to a Will County jury reviewing the disappearance of his father's fourth wife, Stacy Peterson, and the death of his third wife, Kathleen Savio. 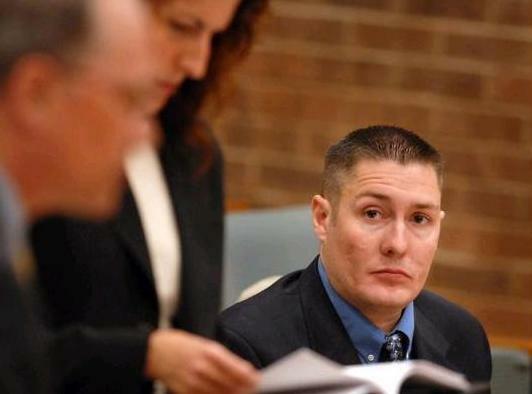 The Village of Oak Brook Fire and Police Commission held a hearing Wednesday [04/09/2008] to decide whether to suspend him for 6 to 15 days for wearing the uniform while testifying. He also drove to the court date in his marked Oak Brook squad car. Television news crews caught him coming and going from the building in which the grand jury convened, and getting into his marked squad car. The footage aired on TV." "Stephen Peterson appeared before the grand jury three times before the television news filmed him Dec. 13. Stephen Peterson explained Wednesday that he wore his uniform that time and on one other occasion because he believed he would be able to return to Oak Brook before the conclusion of his shift at 3 p.m. and would be going back to work. The other two occasions, he said, he doubted he could get back in time, so he took his personal car and wore civilian clothes. Stephen Peterson also testified he assumed his superiors knew where he was going and, since no one told him he could not take his squad car or wear his uniform, he had their permission to do so." Stephen Peterson Drew's son Steve Peterson Suspended 8 days from Oak Brook Police Department ILL 04/09/2008 (www.suntimes.com) "Peterson's cop son suspended 8 days"
"Drew Peterson's police officer son said he was never warned not to drive his squad car or wear his uniform when he was called to testify before the Will County grand jury investigating the disappearance of his father's fourth wife. 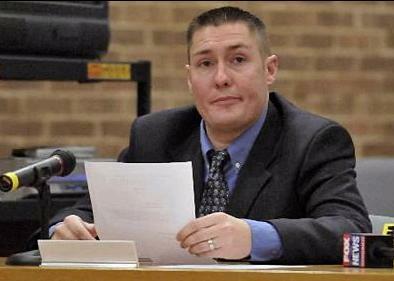 Despite his explanation, the Oak Brook police and fire commission Wednesday night voted to suspend Stephen Peterson without pay for eight days from his duties as a patrolman in the western suburb." "'His poor judgment in using this vehicle brought more negative attention to this department,'Sheahan [Oak Brook Police Chief Thomas Sheahan] told commissioners, who deliberated about 45 minutes before deciding to suspend Peterson. The three-year police veteran reacted stoically to the ruling, but his attorney said he may appeal. ''We're a little disappointed. We hoped he would be exonerated,'' said attorney Tamara Cummings." "[Attorney Tamara] Cummings said the decision will be appealed through the circuit court." - ILL 04/09/2008 "Drew Peterson's son, Stephen, receives suspension from Oak Brook police"
"Prosecuting counsel Charles Hervas also stated Stephen Peterson allowed himself to be photographed by the media, bringing negative attention to the Oak Brook Police Department.” - "Sheahan [Oak Brook Police Chief Thomas Sheahan] maintained that it is Peterson’s special media attention that makes this a special case. “We had media ... outside the station, yelling ‘Steve! We want to talk to you!’ and it wasn’t even him. We were trying to protect this officer against the media.” Sheahan said the print, radio, and television press intensified around last Thanksgiving." "Oak Brook Sgt. Casey Calvello, Peterson's superior on Dec. 13, also stated that he didn’t want any more attention to the department as a result of Peterson being filmed."